Rick's Pocono Blog: The Pocono Style Raised Ranch in Towamensing Trails! The Pocono Style Raised Ranch in Towamensing Trails! This home is being offered BELOW Appraised Value. This immaculately clean and well cared for Pocono Raised Ranch Style Home has an open floor plan with bright airy rooms, a Propane Fireplace in Living Room and a Great Family Room, Pex Plumbing, Instant Tankless Hotwater System and That New Home Smell.This home also comes along with a huge deck and a screened in porch round out this Amazing Deal of a Towamensing Trails Property. Towamensing Trails homes are in the Jim Thorpe School District. This home comes with 2 - Car Paring, a Breakfast Bar, Well Water, and a Fully Finished Basement. Towamensing Trails is a Private Lake Community Located in Albrightsville Pa in the Pocono Mountains of Northeastern Pennsylvania. Towamensing Trails keeps its residents privately nestled into the Beautiful Woods and Mountains of the Poconos, but it is still Great in Location for your nearby Living Essentials. Towamensing Trails Amenities include Private Pool, Beach, Basketball & Volleyball Courts, Ball Field, and Playground. The 190 Acre Lake is Full of Fish. Private Boats are free to Sail the Beautiful Lake as long as they are not Gas Powered. Right across the way from the Pool and Lake is the Towamensing Trails Community Center. A Thornhurst Beauty Surrounded by Gamelands! Last Chance Northeast Concert Events! Rockin at The Sherman Theater in Stroudsburg! A Beautiful Lakefront in Private Camelot Forest! Fun Summer Events in Arrowhead Lakes! Concerts Coming to the Northeast! Come Camping This Summer in the Poconos! River Adventure in Jim Thorpe This Weekend! Some Upcoming Fun Events in the Poconos! An Exclusive Beauty in the Forest of Thornhurst! Rare and Exquisite Home in Emerald Lakes Estates! A BIG Pocono State Park! 4 Perfect Pocono Communities To Look Out For! Holiday Celebration Specials at Pocono Resorts! Arrowhead Lakes Summer 2012 Events! Split Rock Wine and Food Festival This Weekend! Upcoming Shows at Penns Peak in Jim Thorpe! 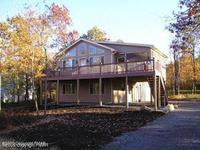 A Lakefront Home on the Gamelands! Upcoming Festivals in the Poconos! Pocono Race Weekend News and Events! 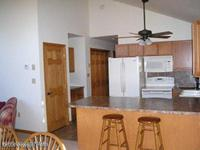 2 Beautiful Rentals Minutes From Pocono Raceway! Hot Shows at The Sherman This Summer! Back to the 50s Party in Arrowhead Lakes! 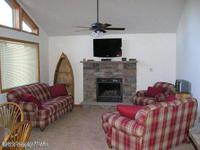 Newer Pocono Chalet Right Near The Beach! A Gorgeous Traditional Streamside Home! A Split Rock Beauty on the Greens!